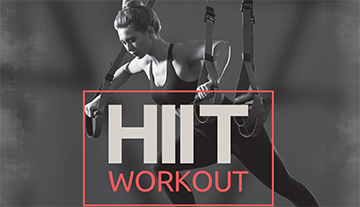 Experience a high intensity interval training (HIIT) workout that pushes you to be your best and feel the burn! Why do we call it Afterburner? Using the JCC’s WIRED heart rate tracking technology, you will achieve EPOC (energy post-oxygen consumption) and continue to BURN up to 500 calories AFTER your workout. Each class is goal specific providing you with maximum results. The program is for anyone looking to challenge their workout and fitness level in a safe and effective way. Afterburner – Total body workouts using a variety of circuit-based exercises – think circuits of TRX, kettle bells, ropes, rowers, and more! Extreme – Hard, harder, hardest! Tabata intervals combined with minimal rest time. Expect to give this class your all! Get WIRED! Wearable technology is one of the most effective fitness tools on the market to push yourself past your limits and achieve maximum results on site and by using the app. Heart rate tracking on screen, individual attention, and on-site laundry service are just a few of the add-ons that make working out at the J your best possible experience. Get the individual attention you deserve with one of our nationally certified trainers. Personal locker, laundry service, social lounge, steam room, snacks, and other amenities.